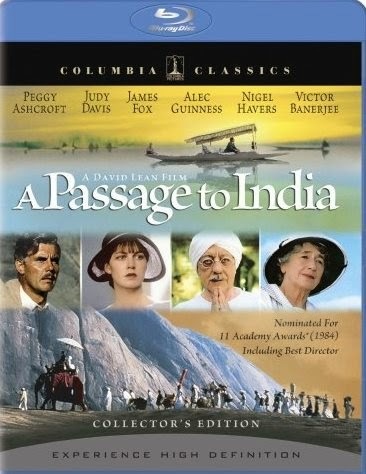 A Passage To India Was One Of The Best Blu-ray Movies of 2008. High Def Digest said, it is "A rare treat to get something other than science fiction or action movies on Blu-ray, that it is a fine film and a treat to watch in high definition and that it is heartily recommended for the true film buffs out there." 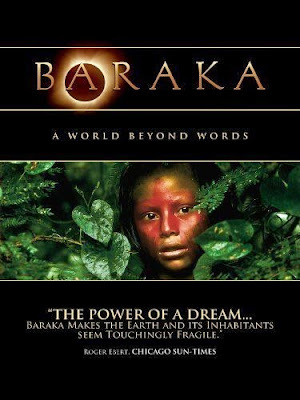 Home Theater Forum called this movie, "first-rate filmmaking to be enjoyed by anyone who is drawn to historical epics." DVD Talk DVD talk remembered that this film received a the lukewarm reception in 1984 but calls it, "a real movie, a rare item in the lean, mean Reagan years." A great option for armchair travellers, like me. Click here to order A Passage to India from Amazon. O, Oprah! Author Kitty Kelley wrote another biographical book, an unauthorized biography of Oprah Winfrey, which was released on April 13, 2010 and which generated plenty of discussion and controversy about Oprah Winfrey's "hidden life." Kitty Kelley spent three years and 800-plus interviews gathering information for this book, but her writing tends to ignite controversy no matter who's in the spotlight (Nancy Reagan, Jackie Onassis, the British Royal family and Elizabeth Taylor are a few of her previous subjects). On this page, learn more about both celebrities - Oprah Winfrey and Kitty Kelley - and watch the video in which Oprah responds to the book. Kitty Kelley Defends Oprah: A Biography - A short but interesting YouTube video. In this three-minute interview, author Kitty Kelley defends her book, Oprah: The Biography. She says that, since Oprah is probably the most powerful woman in broadcasting and idolized around the world, it is highly likely that people are going to rush forward to defend her. However, she also says that her book tells the plain, unvarnished, off-camera story of Oprah Winfrey. What do you think? Have you read the book? Do you suppose Kitty Kelley's stories about Oprah are true and the information is accurate? Has Oprah misrepresented her past? We want to know what you think of both the most powerful woman in America as well as her sometimes controversial biographer. Kitty Kelley's books always generate controversy, though she backs up her "facts" with hours of in-depth interviews with people from her subject's past (in this case Oprah Winfrey's). Do you believe Ms. Kelley is reporting the truth or has she presented the facts in a way to create controversy and generate publicity? Has Oprah misled the public about her past for all these years, or is she telling the truth and these stories are mostly fabricated? What do you think? I think it boils down to the fact that it is hard to know what the truth really is and that we will likely never know the whole, true story. 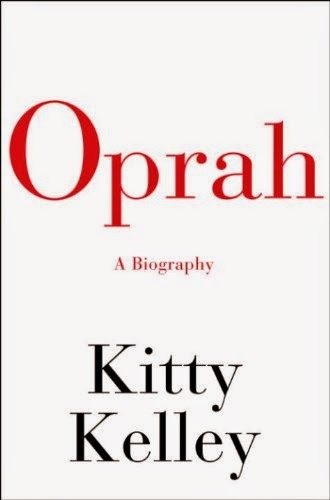 Order your copy of Kitty Kelley's Oprah Biography from Amazon. Please note this page was originally written in 2010 and appeared on another website. Under the Sea is a film worth being excited about, particularly if you love nature documentaries. This one, of course, highlights the world beneath the sea. Originally released in Imax theatres on February 13th, 2009, it was released on March 30th, 2010, on blu-ray and DVD and there is also an audio CD soundtrack available. 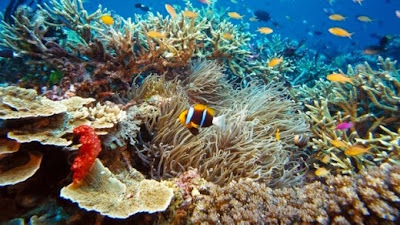 Howard Hall leads the same team that created Deep Sea and Into the Deep and this time he takes you on a tropical adventure which includes the Great Barrier Reef and other South Pacific regions. Jim Carrey is the voice behind the action which will have you up close and personal with a Great White shark and enjoying the doings of a cuttlefish in love. The film received 95 percent positive reviews from the tomatometer on Rotten Tomatoes. That's an almost perfect score and Under the Sea received comments like, "The footage is spectacular, the colors electric, the life aquatic trippier than anything you have ever seen..."
About.com said, "Under the Sea offers a uniquely inspirational and entertaining way to explore the beauty and natural wonder of the oceans." Blu-ray.com reviewed the blu-ray version of Under the Sea and said that this film is "bubbling to the surface with a magnificent 1080p/VC-1 transfer...blessed with a stunning source and a proficient presentation...immersive DTS-HD Master Audio 5.1 surround track; one that does justice to Hall's lively soundscape, New Guinea and Indonesia's enveloping waves, and Micky Erbe and Maribeth Solomon's diverse music." They said this is a film worth buying on blu-ray. 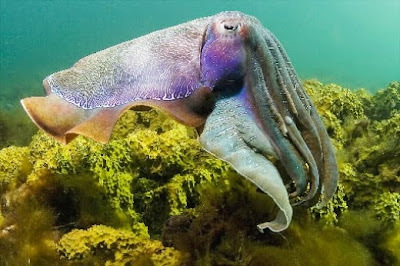 With regard to the 3D version of Under the Sea, Film Journal International said that, the 3D version makes you feel like the animals are right there in your lap and that children are often seen trying to pet the screen. Under the Sea is recommended for children who are six-years old and up. It has scenes that are startling like when one fish eats another or when a creature snaps. Mating habits and global warming and the danger it presents to us all are discussed. These considerations aside, your child must also be old enough to sit through a 40-minute documentary film. In the case of the 3D version, they must be old enough to wear 3D glasses for that length of time. 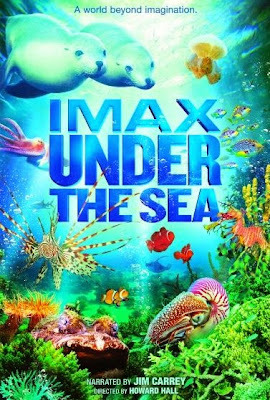 If you would like to read more about Under the Sea, you can visit Imax's official website by clicking here. Enter through a beautiful portal and you will find more information about the film. Alternatively, you will can learn more about it on Amazon or order your own copy, by clicking right here. Click here to order your copy of Imax Under the Sea from Amazon. Please note this page was originally written and published on another website in 2010. The Old Man and the Sea is an animated film, which I first encountered and enjoyed at the Imax theatre a number of years ago. Being animated, it is obviously different than the normal type of Imax film we are used to watching. It is a beautiful twenty minute retelling of Ernest Hemingway's novella, which shares the story of the friendship between an old fisherman and a young boy and the hardships of the sea. It took two years for Alexander Petrov to put this film together in a manner which included all of the color, imagery and emotion that were in the original work. 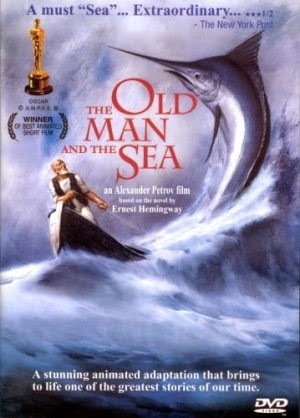 The Old Man and the Sea went on to receive an Academy Award for Best Animated Short Film in 2000. The character Santiago is well voiced by Canadian Gordon Pinsent. "Each scene is vibrant with life and the film as a whole has a dimension of profound imagination, as Hemingway's masterpiece has." John Rossfeld said, "Our six year old was in awe. Literally. He really loved seeing the images painted (by fingers) onto glass. These reviews are right - it is a wonderful way to introduce children to Ernest Hemingway AND the beauty of animation." A different Imax experience for sure, but an interesting one, too. It is a short film but the DVD also includes the story Hemingway: A Portrait and a Making of feature. 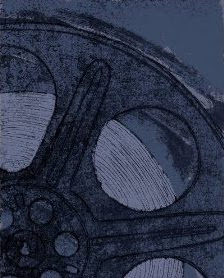 Unfortunately, it is hard to find a copy of this film. As I write this, it is available at a premium on Amazon by clicking right here. Buy The Old Man and the Sea from Amazon. I've always been fascinated with the story of the faces behind the famous puppets. You know, people who created the personalities of Kermit the Frog, Elmo and Big Bird. Puppeteers like Jim Henson, Kevin Clash (whose star has been tarnished of late) and Caroll Spinney. It was with interest then that my ears perked up or rather my interest was peeked when I read the story "The 'Inside' Story of Muppets" Star in today's Ottawa Citizen newspaper. It summarised the person behind Big Bird and discussed the new documentary film that is being released today, May 5, 2015 on iTunes and Video-on-Demand on Amazon before it arrives at movie theatres on May 15. Would you believe that Spinney has played Big Bird for more than 40 years? That Spinney contorts himself in the claustrophobic space within the suit of Big Bird? That Spinney also created the Sesame Street character Oscar the Grouch? That Big Bird has a star on the Hollywood Walk of Fame? That last point is not really a surprise to me. He is also the recipient of a Daytime Emmy Lifetime Achievement Award. At 80 years old, Caroll Spinney is the last of the original Sesame Street puppeteers. Check out the trailer for yourself. I guarantee that, if you have fond memories of Big Bird, this video will pull at your heart strings. I grew up with Big Bird. He holds a special place in my heart. It is with some bias then that I think this looks like a very interesting biographical documentary film and have added it to my list of must-see films. 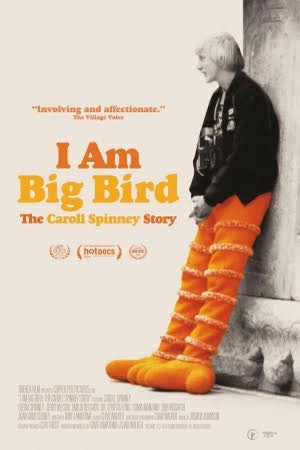 If you are interested in I Am Big Bird, you can buy or rent it now from Amazon by clicking right here or check it out at the movie theatre when it is released a little bit later this month. Rent or buy I Am Big Bird: The Caroll Spinney Story from Amazon. 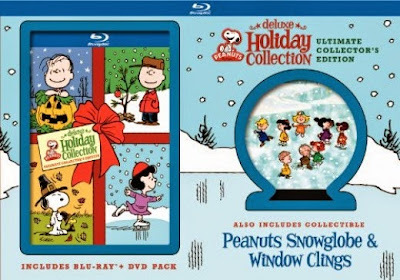 The Peanuts Deluxe Holiday Collection Ultimate Collector's Edition is a solid set and features three blu-ray discs plus two bonuses in the form of a collectible snow globe and window clingers. Click here to see if the Peanuts Holiday Collection is available on Amazon. Please note that this post was originally written for another website in 2010.